It wouldn’t be true to say I chose an arty career just to impress my kids. But I was definitely gratified this week when, right before my kids’ eyes, the unglamorous sitting and typing I usually do was fairy-godmothered into a morning of sandstone balustrades, live harp music, and canapés garnished with purple pansies. The fairy godmother who conjured this fantastic morning for my kids and me was actually the Lieutenant Governor of Alberta. 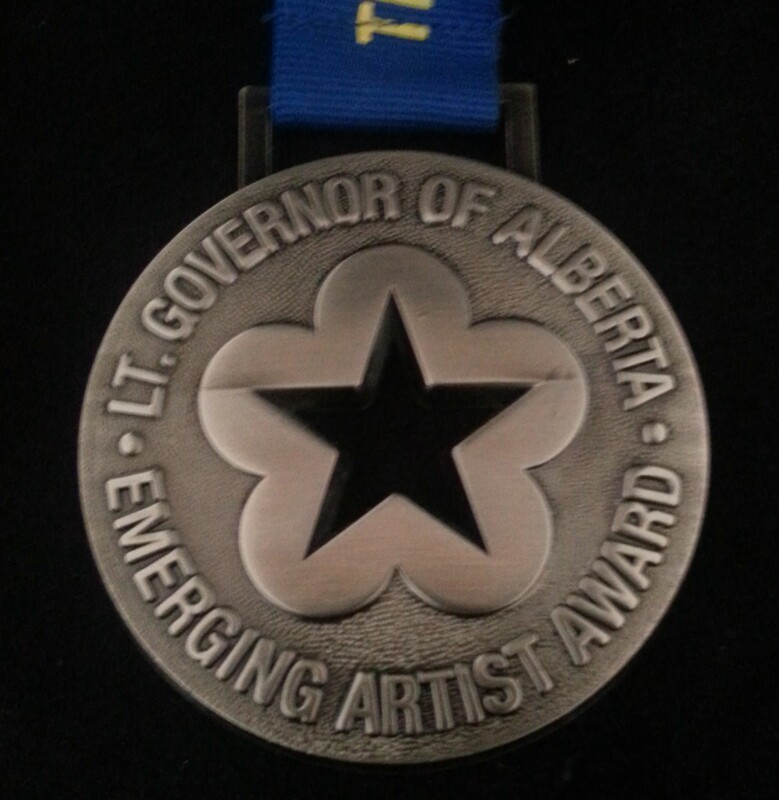 I’m one of the recipients of the 2014 Lieutenant Governor of Alberta’s Emerging Artist Award. It’s a fabulous, generous programme and I’m thrilled and honoured to be included in it. Canada is a constitutional monarchy and some of our traditional royalist sensibilities, like art patronage, provide vital support and recognition for artists – a term it’s probably high time I stopped apologizing for applying to myself. 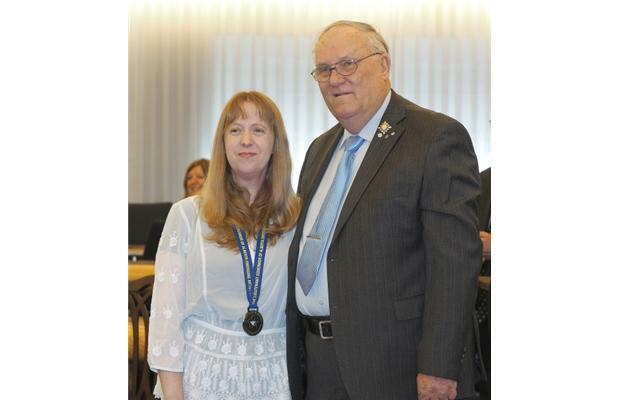 The award was presented to me and seven other recipients – accomplished singers, filmmakers, poets, visual artists – in a private ceremony. I was able to invite five guests so I brought my parents, my husband, and my 17-year-old and 15-year-old sons – the kids of mine least likely to turn the whole thing into a brawl. 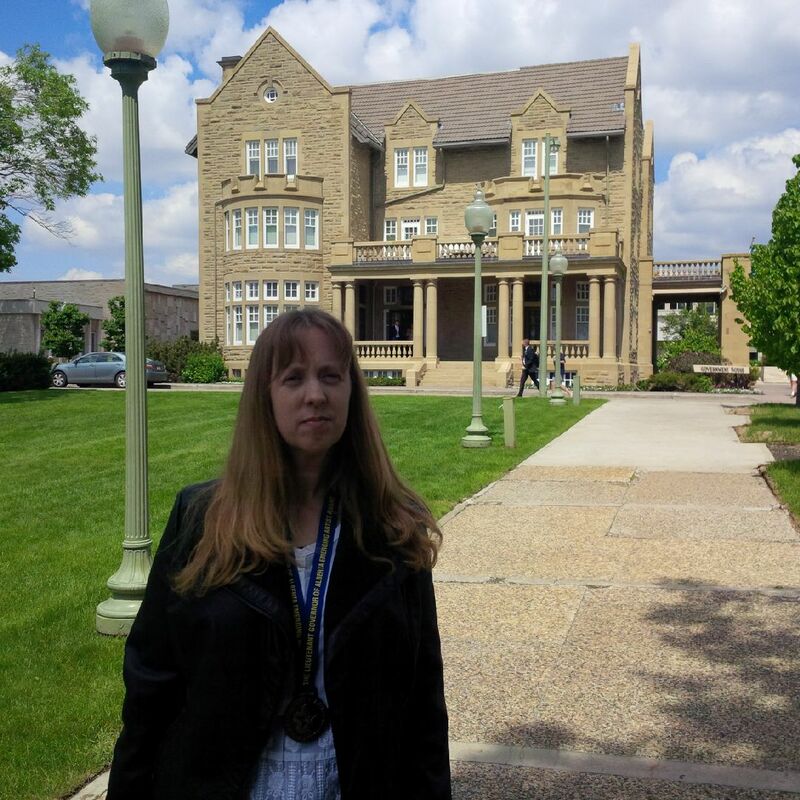 I arrived at the Government House mansion before my family and waited in the green room until we were ushered upstairs where our guests were already seated. We all rose when the “viceregal salute” was played on the harp and Queen Elizabeth II’s local representative, the Honourable Donald Ethell (who is more like an impressive great-uncle than like the queen of anything), entered to officiate from a throne made of dark wood and green velvet. Just like the day years before when I was in this same room watching my extraordinary husband receive an award from the Department of Justice for his service as a prosecutor, the line from the bio that drew an audible murmur from the crowd was the one reporting our roster of sons. Lawyers, artists, everyone has something to say about a large young family. “They were thrust upon me,” I said. At the luncheon afterward, my boys didn’t fail to appreciate the never-ending platters of dainty sandwiches and sweets. No matter how nice they are, I have a hard time stomaching refreshments at events and it was good to see someone from the family eating my portion. 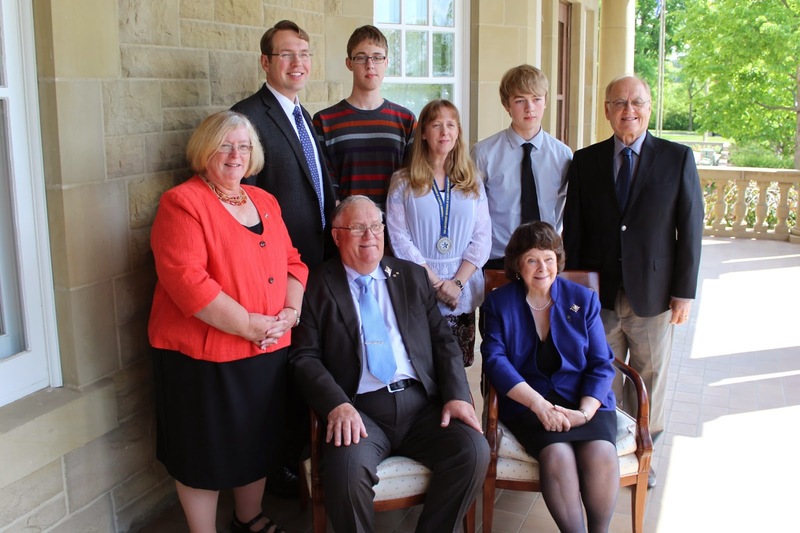 My sons met His Honour, Her Honour (his wife), their red-uniformed aide-de-camp, the Minister of Culture, the Mayor of the city of Red Deer, and a real live professor from the University of Alberta — the school my oldest boy will be attending in the Fall. The professor, Douglas Barbour, was there as a guest of one of the other artists but he also happened to be the instructor of the only senior-level English course I ever took. People in their late teens aren’t renowned for being gracious. They don’t efface themselves like I do but they scoff and sigh and shrug. And the truth is, my accomplishments have meant the boys’ childhoods have been lean on motherly touches like homemade baking and chauffeur service to school. I kept smiling but I braced myself as I listened to my boys make their answers at the Lieutenant Governor of Alberta Emerging Artist Awards luncheon. In replying to kind strangers who wished us nothing but the best, the boys set aside any cynicism, bitterness, or semantic fussiness to answer with pleasant enthusiasm – enthusiasm for me and the tumultuous, demanding arts career that may have affected their lives as much as mine. This entry was posted in Books and Writing, Canlit, Family, Love Letters of the Angels of Death, Publishing, Reviews, Uncategorized and tagged Alberta, Alberta Lieutenant Governor's Emerging Artist Award, awards, books, boys, commonwealth, Government House, jennifer quist, kids, lit, literary awards, Love Letters of the Angels of Death, monarchy, motherhood, raising boys, sons, writing. Bookmark the permalink. This is awesome! I loved it! Congratulations. Love your writing style.